GLUTEN-FREE, GRAIN-FREE, DAIRY-FREE. SPECIFIC CARBOHYDRATE DIET (SCD) & PALEO. 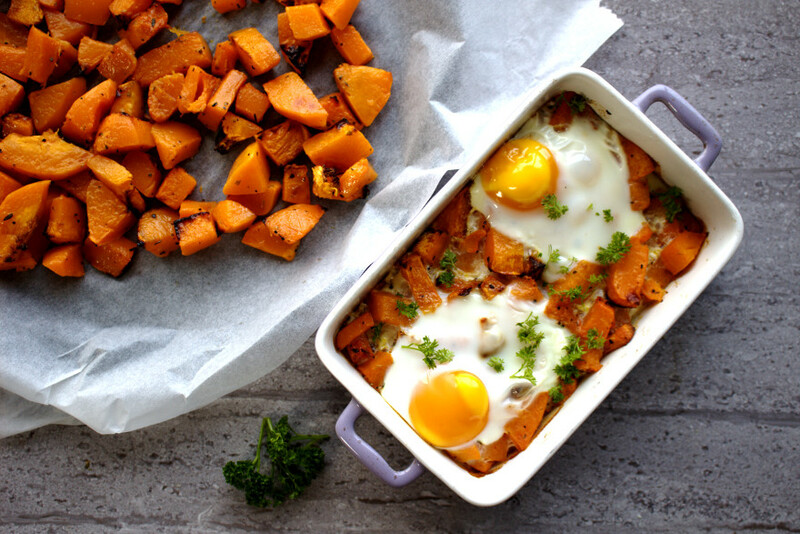 This Butternut Squash Breakfast Hash is a family favourite in our house for lazy Sundays. We love our eggs but let’s be honest: eggs can get boring if you always have them the same way. I have been craving something a little different. 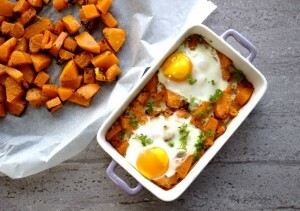 Hence, this breakfast hash was created! It’s a big hit. 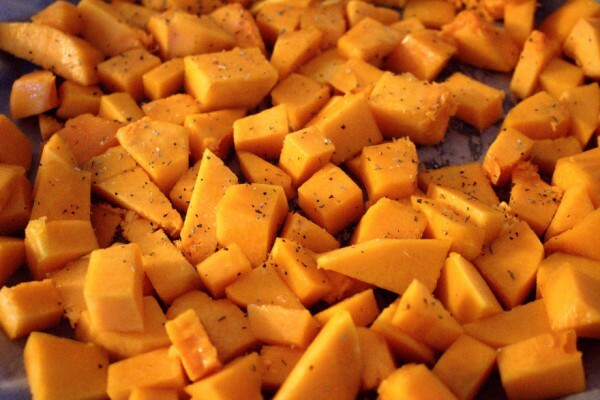 It’s no secret that I am a big butternut squash fan in general. I love the sweetness that develops particularly when it is roasted. Paired with eggs in this dish, it is absolutely delicious. 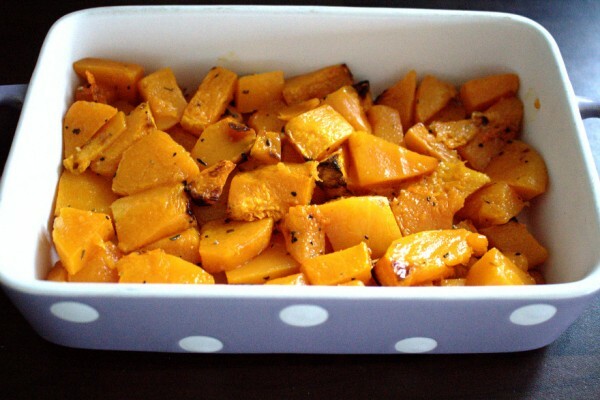 You’ll need to roast the butternut squash first unless you have some leftover roasted vegetables from your dinner the day before. Hooray for leftovers! 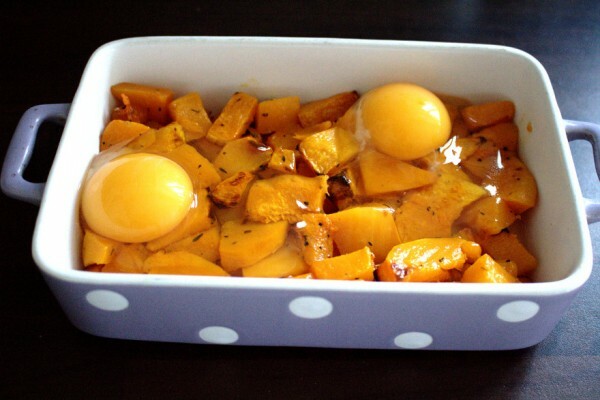 I’ve experimented a LOT with roasting butternut squash and I find this is the best way. Something about the parchment paper and dividing it among two trays makes this a foolproof way to roast. This recipe is pretty versatile. 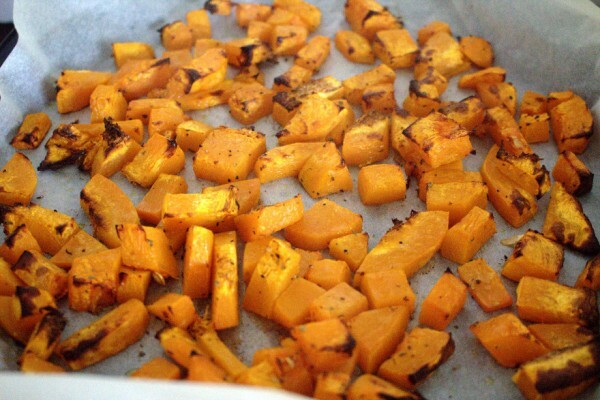 It also works great with leftovers of my roasted butternut squash with bacon and thyme. I’m big into using leftovers wisely. Not only does this cut down on waste, it cuts down on your cooking time too. I’m lucky that I love cooking. I absolutely adore being in the kitchen making delicious food for my family. That said, every now and then, cooking everything from scratch can get tiresome. Using leftovers wisely saves my life so often. I figure that no food blog, particularly one dedicated to the Specific Carbohydrate Diet could have too many breakfast recipes. Our mother’s told us when we were young that breakfast was the most important meal and I still firmly believe that it is! I hear so many people say these days that they don’t bother eating breakfast. I say, maybe they haven’t found my Butternut Squash Breakfast Hash yet. I’m confident it could change a few minds! I made this for the tea last night. It was a big hit! Thanks Maria!